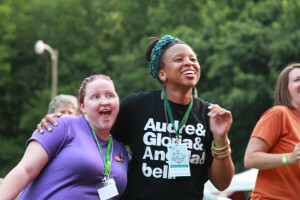 Wild Goose is a transformational, experiential festival grounded in faith-inspired social justice. We learn and grow together by co-creating art, music, story, theater, and spectacle, and we engage in robust and respectful conversation with thought leaders and artists who share our commitment to art, music, spirituality and justice. The Wild Goose is an amazing space to absorb really great talks, music, art, and for many it’s an amazing space for co-creating. We’d like to be even more intentional about co-creating this year, and raise the co-creation expectation such that it permeates the Wild Goose DNA. There are so many great ways to get involved in the Wild Goose Festival.